On my way to the Gothic exhibition at the British Library - which I blogged about earlier today - I arrived at Kings Cross station and decided to have a look at platform 9 ¾ of Harry Potter fame. 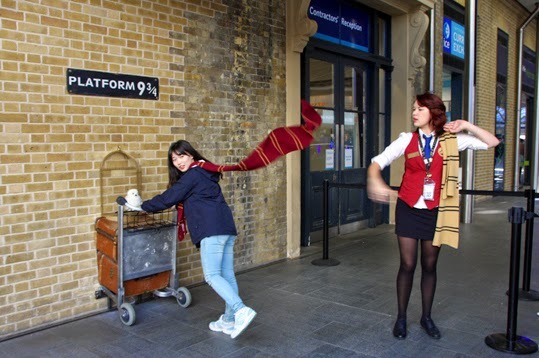 Yes, I know platform 9 ¾ doesn’t really exist – except that it sort of does. Close to platform 9 there is actually a sign for the fictional embarking point for the Hogwarts Express and also a trolley laden with luggage embedded in the wall underneath it. If you fancy it, you can queue up to have yourself photographed holding the trolley and wearing the school for witches and wizards’ scarf. 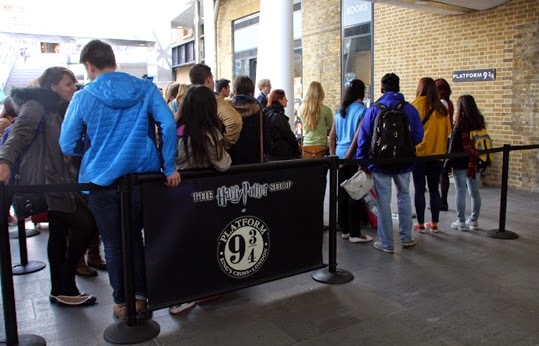 There was a really long queue when I was there and I felt a little to old to go for it myself anyway, but I took a picture of someone throwing themselves into the role and a member of staff from the nearby Harry Potter Shop. 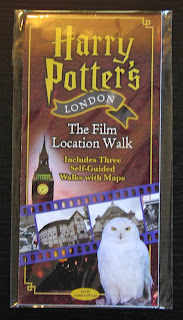 According to Harry Potter's London the Film Location Walk it was really platforms 4 and 5 that were used for filming the Kings Cross station sequence in the movie, which you can of course also have a look at. 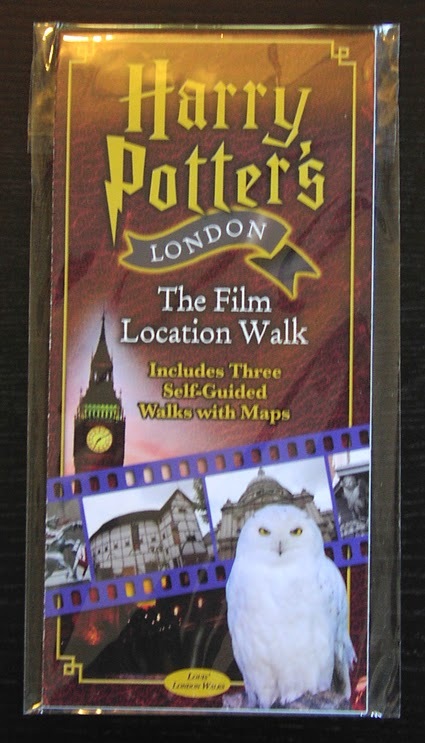 If you fancy going on more of an exploration of Harry Potter’s London, the Film Location Walk contains three self-guided walks offering tours of Central London’s film locations with maps. And while I’m on the subject of Harry Potter, my hubby recently bought me a lovely present of a new travel pass holder in the form of a Hogwarts train ticket – which you can see photographed above right. 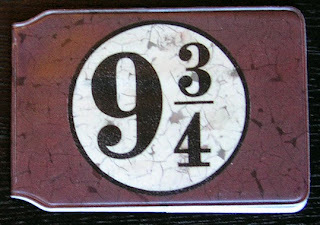 He bought it for me at Forbidden Planet and it makes a fine Travelcard holder for any witch or wizard in my opinion.